Don’t open this post if you don’t want to see a photo of a broken arm. It makes me feel faint (and placentas don’t) so don’t be a hero. 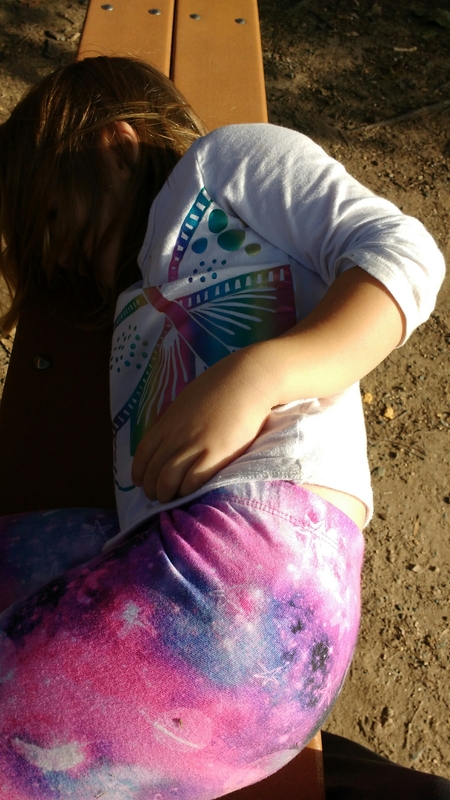 Yesterday at the park, Eleanor broke her arm. 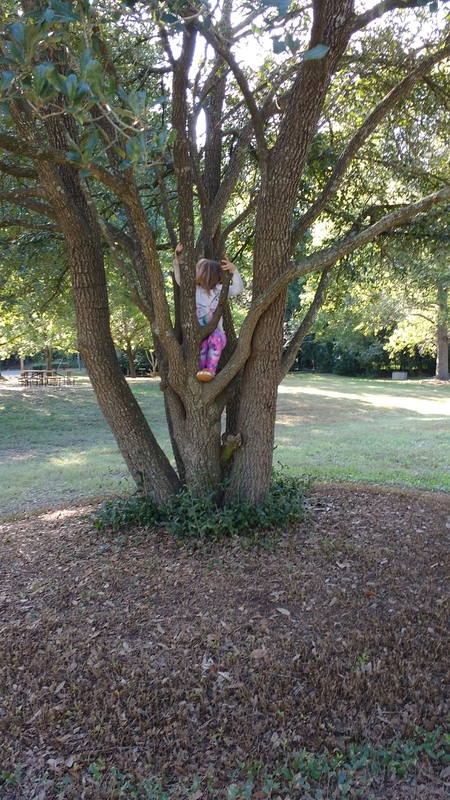 We spent a few hours there, and she spent much of that up trees. But that’s not how she broke her arm. She was playing on top of a tube, probably about 3 feet off the ground, slid off sideways, and caught all her weight on her hand. We later found out that she snapped both the ulna and the radius a few inches from the wrist. She came crying over to where I was sitting with Grant, sort of softly upset. Shock, I guess. She held out her arm for me, and I went to touch her wrist to comfort, you know, or whatever, and her arm wasn’t where it was supposed to be in her sleeve. I was horrified. I gently rolled up her sleeve, almost passed out, and called Bob. Then I called 911. I had had this notion that I would drive her to the ER, but as soon as I hung up with Bob, I looked down at her arm and knew I wouldn’t put it in a carseat. The paramedics came, splinted her wrist and asked me if I wanted to meet them or follow. 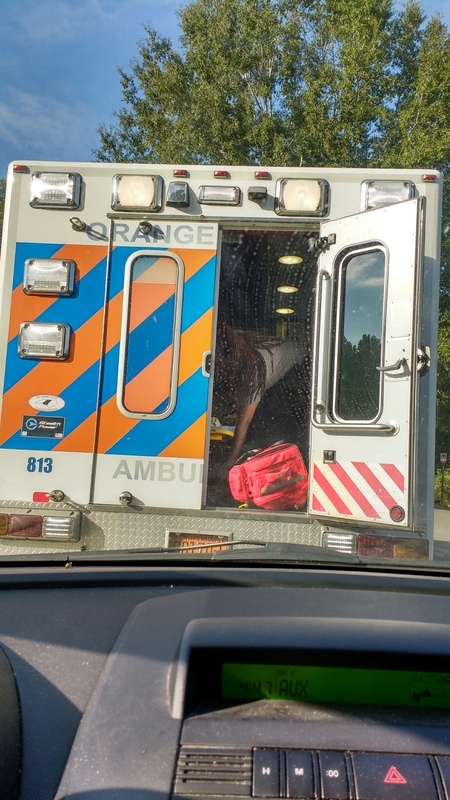 I said follow, and Ele got her first ambulance ride. Bob got the the hospital before all of us, and parked my car for me while I took the boys inside. We got to where they were going to treat Ele in the pediatric ER before she did. When she came in she was super calm. She spoke clearly and politely. She would tell people she was great or felt fine, but her arm hurt. She got three x-rays, and then was put in conscious sedation to have the bones re-aligned. It took her awhile to wake up. She only started to fray before they put her under. The stress was a bit too much to have an IV put in and a finger monitor and an arm pressure cuff (on her ankle) on top of everything else. After she woke up and had a popsicle, we could take her home. We were there about 7 hours in all. 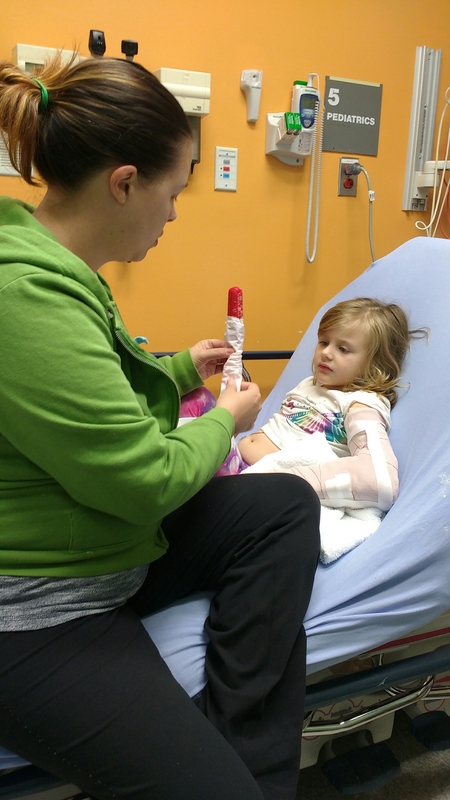 She has a full arm split for a week, and then will get a full arm cast. She is having a rough day today, and I think she’s pretty bummed out, my poor baby girl. I’m off to get her balloons and a card and a stuffed animal to boost her spirits. 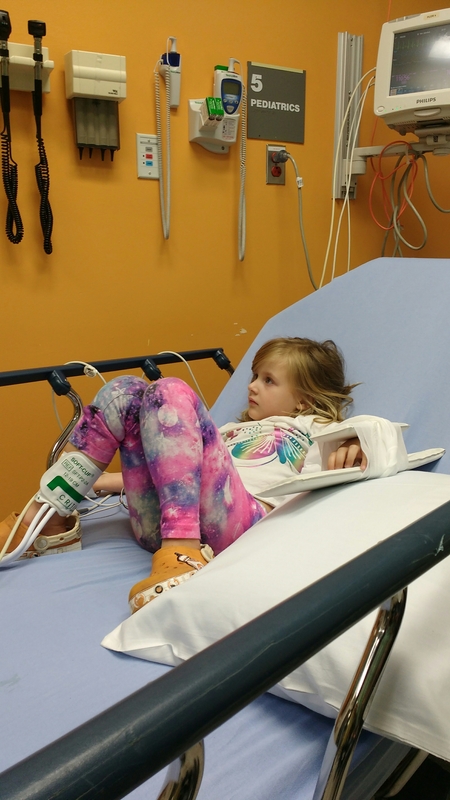 All the doctors and nurses said she was handling it amazingly well – it’s such a bad break they would expect just unending meltdown (totally justified!). I’m proud of how brave she was! Poor Eleanor and poor you! Big hugs to all of you. As usual, looks like she was a total boss about it all. Of course she was. My little Gilly is a badass. Only Ele would react to a break like that with mild irritation. Poor kiddo. Hope she has a fast recovery. Oh no! 🐻 Lots of hugs to everyone! Also, kudos to you! I’m freaking out just reading your story, I don’t know how I’d have reacted if I had been in your shoes! Thanks Jeremy. It was really stressful! But at the time, I was so focused on Eleanor I wasn’t able to freak out (well, a little in the car with the boys on the way to the hospital). Hugs to everyone. I hope she mends quickly and that the recovery process isn’t too horrible. Poor thing, lots of hugs for everyone. I have distinct memories of one of second time I broke my arm. The first and third times were simple single bone wrist breaks but the second time was more spectacular and it was for me also a break caused by me “breaking” my fall when being rambunctious in the playground at elementary school. At the time, and for the rest of the day I just thought I had sprained my wrist…. turns out it was a clean break in my radius or ulna (can’t remember which) and I ended up needing to be anaesthetised so it could be properly set.